Is understanding of intellect enough? Today the writer woke up with disturbance. The disturbance caused by the insufficient economical funds, and calls from few to whom some money has to paid, caused a great disturbance. The disturbance had caught the whole body and mind. Just the previous night, was reading about life story of life of saint, in one of the books from a set of books called Sai Sarovar, in Gujarati language. Much has been written about Shirdi Sai Baba in this book, originally two huge volumes, somehow out of print. A Sai Baba devotee presented the photo copy of these books as the book is no longer available in stores and very few are left. While reading the story about the Saint known as Shree Mota, an d how he was immensely helped by few great saint. 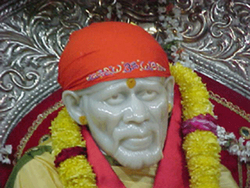 Shree was also helped much by Merciful Fakir of Shirdi, the Sai Baba. Shree Mota had never heard the name of Sai Baba, never seen the picture of Sai Baba, still the merciful Fakir, appeared while he was meditating and performing certain Sadhana, and helped him immensely. It was only, that few days later of that occurrence, Shree Mota happened to see the picture of Sai Baba, on a ring worn on a hand of friend’s friend. 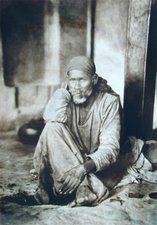 On inquiring about whose picture it was he came to know that it was the picture of Sai Baba of Shirdi, and that he had left his body 20 years before in 1918, it was 1938 when the incident had happened. Sai Baba helped directing Shree Mota on many occasions, even after this first incident had taken place. Sai Baba used to appear in physical form. The story has many incidents, of the mystical ways of how saints appear and the guide the souls, who are really and deeply interested in spirituality and yearning for deliverance from the unnecessary troubles of mind. It also has few interesting stories of the sacred river Narmada. All of he Sai Sarovar would require a different website or a blog and hope to do it one day, with Sai Baba’s grace. The story also describes various hardships and troubles Shree Mota went through during his life time and during the spiritual practices he went through while reading the story the writer was thinking about it. The problems so many saints and sages went through the life time. A biography of Tibetan Mystic Milarepa, The life of Milarepa, came to mind. How Milarepa suffered during his life before he attained the highest. What tough and rigorous and tough ordeal he went under his Guru and otherwise. Also biography of Holy Mother Sri Sardadevi came to mind. I had read this book about Maa Saradadevi some 5 years ago. And I remember how tough it was for me to just read the book. How tough it was, to read the troubles she had to go, tears would roll out of my eyes. In fact I could not complete the book, I simply could not bear and have left that book after reading 3/4th of it. And her husband Sri Ramakrishna Paramhansa, his life too was full of difficulties. There were points when Ramakrishna Paramhansa thought himself to be mad, due to his intense bhakti, devotion. Gospel of Sri Ramakrishna is one book all the devotees of Shirdi Sai Baba or devotees worshiping God in any form of Guru or God. It injects the feeling of devotion and bhakti in us. I personally consider it equivalent to Sri Sai SatCharita, the greatest gift to us by Shirdi Sai Baba. Even it has the quality of making us drunk with divine energy while reading it. While reading it, it gives us much direction of how we as devotees should love and worship our dear SadGuru SaiBaba. I have met few devotees who deny reading anything other than that written about Sai Baba. 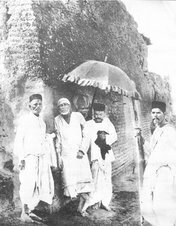 Some even go as far as we don’t need to see Shirdi Sai Baba, in the light of saints such as Sri Ramakrishna. 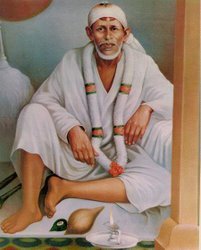 Truly Shirdi Sai does not need any light as he is light itself. Thousands of sun gathered together does not need any light. But it is for us. 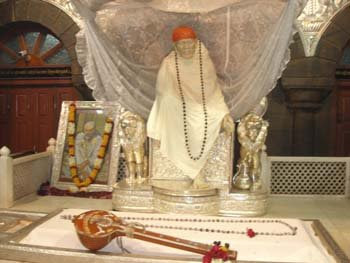 Even after reading a lot about Shirdi Baba, who always use to encourage devotees to read books of different saints, just so that the bhakti, the devotion of the devotees increases, it is us that we are failing to understand what the merciful Fakir was encouraging, and for that he would take so much pain of the devotees, just to infuse the quality of devotion (Bhakti), Faith (Sraddha) and patience (Saburi). 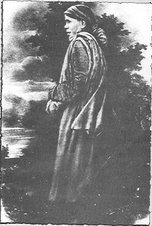 Coming back to the sufferings that saints and sages endured the list can go on Swami Vivikanada, Jesus Christ, Mira, Prahalad ……. Even after reading and thinking such, after waking the next day. The mind got much disturbed. As it is there is some financial debt, to clear that an offer of selling computer Lan related card was taken up. A big order was confirmed after showing them the demo and they were too willing and eager to buy and install the cards in their labs, as it would save much costing and human work. Since the order was confirmed and much eagerness was shown to install the cards as soon as possible, I bought a lap top so that it can serve as a server for the product to be marketed. Much of the payment for the laptop was to come from the big order placed. As soon as I bought the lap top computer, on which this post is being written while listening to Sai Baba Aarti, they delayed for the installation. This brought about a great disturbance in the mind. To add the few calls for the money to be paid, that of the lap top vendor has been added. The disturbance was full. As always I sat before Sai Baba’s picture. 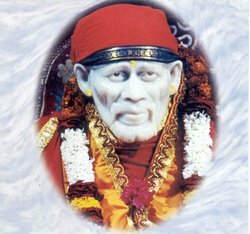 Then I played the Sai Baba’s Kakad morning Aarti video that I downloaded. Even while watching the Aarti the mind and whole system was so much caught up by the disturbance created. There was no asking for grace and love of Sai Baba. The disturbance was ruling. When the disturbance rules we tend to forget what we have learnt intellectually. Watching the video I was feeling to be in Shirdi. There was no feeling of gratefulness towards Sai Baba. In fact I was telling look Baba, a great disturbance is standing in front of you. You do what you want to do. Just because I feel I am in Shirdi and standing in front of your Samadhi, I am not going to wear a mask of a good person, I have brought the fact to you. The disturbance was so great it was not even asking for the grace or energy. Still the merciful that he is, he did not listen to the complaints. And even thought the grace and energy was denied it started filling the head and the body. After some time, when my physical system was thus filled with grace, the merciful Sri Sai Baba, seemed to say. You call yourself my devotee? Where has all that knowledge and thinking of suffering of all Saints and Sages gone? Truly mere intellectual learning never helps. Hence Sai Baba remarked many a times that mere book reading and learning will not help, you have to carry out and live what you read in spiritual books. Sai Baba is also stated saying people try to find Bhrahma (truth) in the books, but it is all bhram (illusion) that they find. However I don’t consider books like Sri Sai SatCharitra and Gospel Of Sri Ramakrishna which also contains the grace and love of beyond, which brings about a lot of change in our mind and heart. Yes our gaze should always be inwards. All the time while watching the Aarti, might have watched it three to four times again and again as soon as it got complete. I even remembered how I used to wait for the Aarti to get completed much earlier in my life. That time the Aarti was a mere ritual and would wait for it to be completed so that I could get back to work or with friends, to gossip. This time while watching the gaze was on the inner disturbed system and also aware how the grace was working on it., so was not waiting for the Aarti to get complete but the tremendous disturbance that has aroused to be completed while watching it. This time I had not fruits, and gratefulness to offer to Sai Baba, the disturbance was allowed as a fact and was offered to him, which he gladly took. 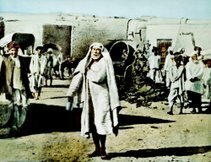 It is well known fact how Sai Baba suffers for his devotees and during the physical presence he demonstrated many a times how he took even the physical pains of his devotees. This might come in next post, but it is not guaranteed, as the writer himself does not know what comes out until it is written. 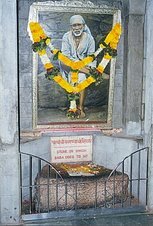 Sri SatChitAnand SadaGuru SaiNath Maharj Ki Jai. Your post about 'is intellectual understanding' enough was wonderfully frank and nice to read. As Baba says, in the beginning everything is smooth, but soon we will be covered by thorns (obstacles) on all sides and it is then that faith begins to waver, questions begin to arise and doubts start to appear. When the going is smooth, the mind is wonderfully focussed on Him, without any deviation or aberration. When a ripple appears in the form of a sudden unexpected event that is considered unpleasant or unhappy, the mind's focus on Him becomes dispersed. But then, the events which occur are an expression of Baba's Divine will - is it not? Therefore the agents involved in bringing that experience or event, such as names, objects, persons, creatures are merely instruments involved in implementing Baba's will. As Das Ganu found with Baba's grace, in the torn sari of the servant maid, in her poverty, in the new sari, in the servant maid, Baba is present. When everything is thus bestowed by Him and it is He who is assuming all the roles (including the one writing this and the one reading this), knowing this truth, even though intellectually, will serve as a barrier to passions, misunderstandings and the like. Thus a good experience or a not-good experience are both pervaded by Him and they happen according to our dear Baba's will - when we thus think of Him along these lines as the cause of, basis of, origin of, giver of, act of, enjoyer of the experience, it will serve to destroy the habit of taking ownership of good or not-good experiences - life is but a continuous experience. A devotee requests Baba every day, to bless him with a continual unbroken awareness of Him as the originator and basis of all experiences and thereby to destroy the habits of taking ownership/doership, having an attitude of a doer, finding fault with the agents involved in bringing the experience. This helps destroy enmity as well as attachment, for when everything is a form assumed by Baba and He pervades everything, whom to hate and whom to love, whom to forgive, whom to find fault with. However, so subtle and powerful as this Maya is, unless Baba's grace falls on us, it is not possible to retain this continual unbroken awareness, effortlessly and naturally. Baba says that Maya will whip him or lash him who forgets Me even for a second. In other words, if one were to forget in the moment of a not-happy experience or event that, that so called not-happy experience is also given per His Divine will, the devotee naturally loses focus on Him and will instead be caught up in the experience itself and thus start to find fault with the agents involved in bringing the experience or lamenting his destiny. Similarly in the case of a happy experience too, if the devotee enjoys the experience fogetting that the experience is an expression of Baba's Divine will, it will subconsciously create an expectation in him unknowingly, to desire that experience in the future as well - thus creating a potential for pain later. By His grace, I have come to understand (to what extent, Baba alone knows) that true surrender, implies a loving devotion to Him, unmindful of what experiences one undergoes - to not take ownership of any thought, word or deed, to consider the body, mind, intellect as mere instruments provided for doing seva to Him. The most wonderful Divine beauty of this arrangment is that it is progressively more challenging to treat or consider as instruments the body, mind, intellect in that order, for each is more subtle than the other. Ultimately a stage is reached, when one does not have to consciously feel the need to make the effort to be alert and watchful all the time - i.e it becomes second nature. For example, it is like, whether an actor when he is acting, is aware all the time that he is merely acting - if he forgets that he is acting, he can get emotionally involved in the character he is essaying and there is a risk that the emotion will carry forward into real life. I am sure lot of us have read on film stars, regarding how sometimes it takes them time to come out of a character. Hence Baba told the sanyasi from Madras, Vijayanand, to be alert and bolt the doors of the wada (mind), to prevent thieves (mayic influences) from entering it and perform three readings of Rama Vijaya. 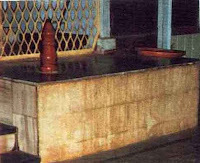 Similarly he told the villagers, that the Rohilla has a zantippi (bad thoughts, passions, waverings etc) that was kept out from entering (the mind) by a constant chanting of Allah's name on the lips. But are not those very thoughts pervaded by Baba and are an expression of His will too? In other words, are we not being taught here again, to not take ownership of all thought, word and deed. Surrender, attitude of non-doer, not having sense of ownership or doership - all these are very intimately related, almost identical concepts. To turn back to the initial point, mere intellectual understanding I feel has it's own benefit I feel in the initial stages of sadhana, for it is an essential step to going to the stage where, one actually experiences or lives or feel the act of surrender, the act of not taking ownership, the act of having a nondoer attitude. The experience is the one that actually frees up the person, while mere intellectual understanding helps to some extent. Intellectual understanding has to do with the level and maturity of the consciousness of the soul - my two year old daughter will not lose her fear of a rope, considering it to be a monster, no matter how many times you tell her that it is not a monster (i.e intellectually she knows it is not a monster) - but when she grows to be 5 years old, she will herself realize that the rope is really a rope and not a monster, without any one telling her - this is because her level of consciousness at age 2 was less mature than it is when she is 5 years. But telling her that the rope is not a monster when she is 2years old has its own benefit - sometimes, it can help remove the fear temporarily. Hence saburi is required to be practised till consciousness matures and Baba's love is understood and felt ever more deeply.